Are you wondering if you should go with Onkyo HT S3700 or Onkyo HT S5700? These two products are 5.1-channel A/V receivers that are quite popular on the market. Their manufacturer, Onkyo, has become on of the most well-known brands when it comes to home theater system components and equipment. 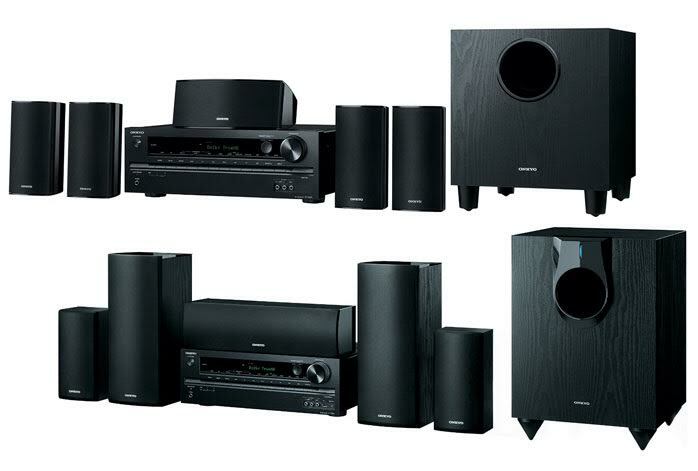 Nevertheless, Onkyo HT S5700 is quite more expensive compared to Onkyo HT S3700. So, what are the differences between Onkyo HT S3700 and Onkyo HT S5700? We will see the comparisons below. Each of these two models comes with six HDMI inputs and one output. They both support 4K/60Hz Ultra HD content. One other feature that these two products come with is the Zone 2 Line-Out. This feature is one of the main reasons of Onkyo HT S3700 and Onkyo HT S5700’s popularity. With this feature, you will be able to create distributed audio playback for audio entertainment in other rooms in your home. They each also feature a USB port that you can use to connect a mass storage for playback directly from there. Both Onkyo HT S3700 and Onkyo HT S5700 have been armed with Bluetooth and EDR. However, Onkyo HT S5700 comes with WMA support. The model supports various Windows Media Audio codecs and formats. So, compared to Onkyo HT S3700, it is more flexible and versatile that it can play more audio codecs and formats. In addition, another difference that is also very important is that Onkyo HT S5700 comes with built-in Wi-Fi which allows for easy and effortless connection with mobile devices, as well as various online streaming services such as Pandora, Sirius XM, Spotify, and SlackerTM. Finally, we recommend you to choose Onkyo HT S5700. It comes with improved audio output power, more compatible audio formats, and, most importantly, Wi-Fi connectivity!